The best password spftware for pros that have objectives. When it's working it's great. Thanks for listening to users. In love with PASS RECOVERY!!! Very fast and works well for me. This seems to be an improvement over previous versions. How hackers hack a TWITTER account? 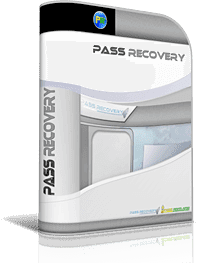 PASS RECOVERY is the only existing legit and genuine solution that helps users to find passwords for every TWITTER account regardless of how complex or simple the password may be. Our software can be used to extracte unlimited password without time limits, you just start the software and PASS RECOVERY does the job! Our software has a powerful analyzing algorithm that has the ability to quickly deliver the previous and current TWITTER passwords that are associated with that account from an email, a phone number or log-in ID username. Let&apos;s have a try now! We guarantee the access to TWITTER accounts and passwords, if not, we refund. STOP wasting time by looking for another solution, INSTALL PASS RECOVERY now. You will easily find passwords of each account to log in without limits! One of the most important features of PASS RECOVERY is its ability to decrypt two-factor authentification (2FA). PASS RECOVERY is downloaded thousand times per day because it helps users to find access accounts easily! How does the TWITTER PASS RECOVERY work? INSTALL the program on the device to access the TWITTER profile. Open the program and begin to run it in the operating system and allow it to work. Lastly, make sure to provide the software with the information it will request from you (phone, email address or ID). With these three steps completed and properly executed, the PASS RECOVERY will retrieve the correct password and display it on the screen. You will have the possibility to store this information on your specified location or folder. Read the rules, be aware. The question looks easy to answer but in fact, it is more complex. Let’s try to understand the purpose. TWITTER has more than 320 millions of users and 500 million tweets per day. It’s an opportunity for hackers to crack TWITTER passwords. With TWITTER, you can easily reach the thousands of followers even millions! But are you aware that your TWITTER account’s value is more than your credit card information? -	They want their revenge on their girlfriends or their boyfriends. You have to be carefull and to hurry up because your contacts could be in danger if someone hacked your TWITTER account. You must recover your lost password now! On the dark net, an account can be sold from a few dollars to $325USD, depending on the account and the followers. A credit card information can be sold only for $50USD and you have the risk that the bank of the owner cancels the payments. Once the TWITTER account has been hacked and sold, the buyer will immediately try to make profits on it by sharing spam links to make more turnover on his business. He will put links of websites, sharing pictures so that each follower will see and tweet again the messages. But there is another reason, the buyer or fake owner user of the TWITTER account can contact the followers and ask for money. He can invent a life and ask for funds in order to help him. Again, the followers will send the money to the fake owner and they will be scammed. They do everything to be anonymous on the Internet and they use VPN that can hide an IP address. What you should understand is that nothing is infallible and certainly not a TWITTER password! Keep in mind that our software is used every day by thousands of users who have lost their password. Also politicians are hacked. Barack Obama for example, has been hacked. The answer of the secret question was the name of the dog. It was very easy to hack his TWITTER account. There is always a feeling of insecurity when we connect to a TWITTER account. A feeling that when we try to connect and when we enter the password, someone can spy at that moment and discover our password. It is very important to protect yourself against hackers. You can try to hide your password like you currently do with a credit card but it could be a little different with a phone or a computer. Protecting your private life is a priority that should not be neglected. The consequences afterwards can be disastrous. But you have to keep in mind that no password is uncrackable. Normally, an authenticated Twitter user needs to enter their current identification code when using the change ids page. This prevents an unauthorized person from changing the password without the user's knowledge. People nowadays are looking for Twitter system to steal someone's personal life. 60% people are looking for control over their girlfriend secrets! A lot of people are suspecting their boyfriend or girlfriend of cheating. They look for a tutorial to access the social network easily. We guarantee to get Twitter combination lock from the database. How hackers hack a Twitter password account for FREE? After much hard work, we have finally found out a way how hackers can get it. Several of you are probably wondering how it is possible to accomplish this formidable operation with this program. Well, to make you fully understand how this works, you would probably need months of learning the basics of programming. After that, you would have to spend more time having to learn how a Twitter Account Hacker works. This is a very good technique that can be used to restore and retrieve any private life as long as you have at least the smallest clue about the person who you want to trick. If not, we'll provide you a few sites which will help you to find out more about him and quite easily answer his recovery settings. Even if this method has 100% chances of recovering a profile. It is at least worth a try. No need to pay and no survey. If not we have to go to other alternative options available to those we got. If you use the internet, then you have heard of Twitter. It is the largest social network platform in the world. You have also probably heard that it is the most unsecured platform in the world. You are probably wondering, how does a company that facilitates so many users consistently, allow itself to be forced so often. You would be surprised at just how easy it is to enter in a personal Twitter account profile. With online software programs such as Twitter Password Hack, it is simple. With a program such as ours, you can log into the site, follow the simple instructions and within 2 minutes you can be inside anyone's account. Get ready to have access to the best online Twitter hacking software available. When you have the feeling that you are cheated by someone, a network enter service is the only way to know the truth. First thing to do is to make sure that you get the best tool for the Twitter messenger. Try it also on Android phone or tablet. As you may know, Twitter is a massive platform for several attacks and some have been recorded on Twitter recently. They are mainly targets of activists, but also political opponents and journalists. The nickname is DoubleSwitch, this type of attack is mainly organized to destabilize the political activity of a country. DoubleSwitch involves hacking a user's Twitter account to impersonate the user. Extremely dangerous, the attack allows malicious people to influence the population by conveying false or incomplete information. This practice has become commonplace over the past few years and is used mainly to destabilize countries. To organize and transmit information alternatives to the one that the power diffuses, the political opponents very regularly appeal to the social networks. According to information provided by security expert, this online political movement is the victim of the malicious acts of several hackers. It is mainly the identities of journalists and activists or those travelling in the country that are usurped by hackers. Double authentications to end DoubleSwitch. To initiate attacks, the hacker begins by decrypting the password of an account and then proceeds to change the username, the password and the contents of it. Thus, the victim is no longer able to regain possession of his or her digital identity. The pirate will then use the account as he sees fit. Double authentication is the best way to stop all DoubleSwitch attempts on Twitter. Hackers will no longer have as much ease in accessing the account of Internet users who bet on this option. If you have not already done so, you can go to Twitter and check in your account settings. Enabling dual authentication is in the "account" menu. Simply associate your account with your phone number to activate it. But keep in mind that our software recover any Twitter password even if there are double authentications. The hacking of Twitter accounts is very easy, in fact, hackers have specialized in collecting accounts to launch DDoS attacks of a new kind. Your account has been restricted following a normal activity! This is the type of message that Twitter can show you in administering your micro blogging space. Pattern? Too many retweets, too much "I like" in a few minutes. Your fans have become too "in love"? There is a good chance that a hacker has used the DDoS Twitter method. The idea for the malicious malware, get hold of the hundreds, thousands of old Twitter accounts? How? Simple or almost. Phishing or passwords worthy of a student. The benefit of accounts, they are old but still present on Twitter. The hacker did not need to create malicious allies that will require further authentication through Twitter, such as a phone number. An old account has already been authenticated, by its legitimate author. Any benefit for the pirate. The latter has only to set up a bat that launches its attack from the infiltrated Twitter accounts. The attacked account can no longer communicate. Particularly disruptive in times of crisis or in the context of institutional communication. You know, several attacks were recorded. Botsets make and deploy spams to manipulate, but it remains difficult for Twitter to keep track of it. The accounts of pretty young women are not the only ones to make retweets. But this concerns the "new" enemies. For the old ones, it is much more complicated. In his blog, Twitter says that "robots can be a positive and essential tool, from customer support to public safety, plus we strictly prohibit the use of bots and other manipulation networks to impair the essential functionality of our service. Twitter confirms having doubled its teams and resources and creating new tools and processes. To protect yourself, use a unique password that is complicated enough not to be found by a tool or by social engineering. Be careful with emails in the colors of Twitter. And consider using dual authentication. If you lost your password, then use our tool PASS RECOVERY that will recover the password for you. It should be noted that in order to meet the challenge requirement and to ensure that people can not bypass our security, we can not share the details of these internal signals in our public API. We understand that research is complicated and that this means that third-party research on the impact of bots on Twitter is often inaccurate and erroneous, but we must protect the future effectiveness of our work. A restriction that hampers the surveys launched by researchers external to Twitter. Digital identity theft or online identity theft can take many forms. In general, they are malicious people who use the victim's name and personal information to spread hateful messages on their behalf, to hurt them personally or professionally. The creation of a false TWITTER profile is done through personal data retrieved on the true profile of the victim and for this, it is necessary that the culprits have access to this data. Information about the date and city of birth, the name of the pet, or the victim's nickname are publicly available if the security settings are not manually configured. This false TWITTER profile is used by criminals to spread obscene, insulting and violent messages, under the name of the target, to tarnish his reputation. The thief impersonates his victim on social networks and voluntarily seeks to provoke other users. As social relations are an increasingly important digital component, this type of digital identity hijacking has a very negative impact on the child's environment. The reputation of the victim is tainted and requires laborious explanations, or even causes conflicts with those around him. - to harm the victim, by publishing hate messages and creating conflicts between the victim and friends. - or to use his profile for illegal purposes: mass mailing of spam messages to the address book, posting links to websites containing viruses, or scam attempts to obtain money. The most widespread hacking technique is phishing: the user receives an email from TWITTER in which he is asked to provide his credentials to prevent his account from being suspended. Another technique, the scam, is to create a relationship with the target through the exchanges via instant messaging, then abuse his trust by causing him to reveal his TWITTER password and login. The FBI has issued an official warning against extortion by hackers who blackmail TWITTER users. The perpetrators demand ransom from the victims and in case of refusal they threaten to publish their illegally obtained personal data. As soon as possible criminals ask to make a transfer to an anonymous account of amounts ranging from 2 to 5 bitcoins or 250 to 1200 dollars (about 230 to 1100 dollars). The Bureau quotes messages sent by hackers. In most cases, the messages are almost identical. The criminals threatened to send "dirty information" to friends and relatives of the users if they refused to pay. How to protect your Twitter account? If unfortunately you are the victim of the hacking of a TWITTER account, you must log in to your e-mail as soon as possible and change your password, to prevent the hacker from logging in again. If he has preceded you and your password has already been changed, then contact your email provider, to report the piracy of your account. This is a complicated operation (how can the operator know that you are really the owner of the account?). That's why, in any case, it is better to be safe than sorry: if your password has only 6 or 8 characters or it is too easy to guess / crack, start by modifying it, taking care to choose one that will give a hard time to the many hackers (and their robots) who roam the web! One of the most common techniques for hacking TWITTER accounts is doing social engineering, which is essentially a process of collecting information about someone whose account is going to be hacked. The information may be his date of birth, his cell number, his nickname, his name, his place of birth, etc. Obtaining such information from those involved may allow us to hack into their account. TWITTER is not an exception to provide a security issue as a PASS RECOVERY option. So, if someone comes to know the answer, he will be able to hack the account using the forgotten password option or try your weak passwords. Hacking, cyberattack, phishing, hacking networks: between computers and smartphones, digital is everywhere and computer security has become a major issue in the midst of an unlimited cyberwar. Private data, sensitive sites of companies or governments, credit cards, passwords: if data theft feeds films and newspapers, there are some who are doing this legally and are much less known from the general public. Hacking can also be ethical. Some do it to thwart the protections of a computer system not for criminal purposes, but to improve it and make it safer, therefore less permeable to fraudulent attempts by hackers. According to security experts, it's simple: more and more hackers are interested in Mac to launch attacks. Last year, the number of identified malware has increased by 270%! Admittedly, the number of malware targeting computers from the company with the Apple is still lower than the number targeting Windows, the first target of hackers, but the trend is for the resurgence of threats. The reason? Mac users are less suspicious. Used to believe that "there is no malware on Mac", especially because the source code of MacOS is safer than that of Windows, they pay less attention to their actions and perform less often security checks. For experts, in particular, the security tools included in MacOS "do not respond to the threat of adware and PUP". The beautiful era when "Macs had can’t be hacked" seems well and truly over. Although, in reality, viruses and other malware targeting Apple computers have always existed, they were actually far fewer than those targeting Windows. This is still the case... but the threat against Macs is becoming more virulent. And the latest available to hackers sends shivers down your spine: with a simple picture, it is possible to process all the TWITTER password hacked. By typing some command lines in the command operator, it is possible to access all the information stored by Keychain... without having to enter the main password. Indeed, only a small window appears, which asks the user to click on "authorize".